The XTL-193-190 pressure transducer series incorporates the latest pressure sensing technology – Kulite's dielectrically isolated, silicon on silicon, patented leadless sensing element, which enables this device to be used in harsh environments. 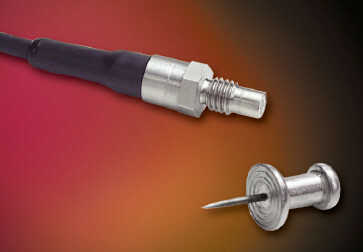 This device delivers a FSO of 100mV when excited with a 10VDC supply. The ultra miniature construction, provides a compact, robust package. This combined with the high temperature capability of +400°F, makes the XTL-193-190 ideally suitable for applications where space is limited.